So you walk into a hotel, you’re in the queue, and it’s taking ages to check-in. Or at breakfast, there’s no milk on the table…. it’s all those little things that matter in the hospitality trade. In the age of TripAdvisor, it matters. Jury’s Inn take this seriously by training their staff to a set of defined, exacting standards. Each module focused on essential knowledge – what staff need to know. Every module has an AI generated audio introduction (text to speech), that explains what you have to do and to relax about getting things wrong, as it is OK to make mistakes while learning. Staff then read the standards and, rather than click on multiple-choice questions, have to bring to mind and type in the behavioural standards. This ‘effortful’ learning was inspired by recent research in learning that shows recall, with open input, is superior for retention to simply recognising answers from a list. The six modules were literally created in a day, as the AI created the content, by identifying the relevant learning points and automatically creating the learning experiences. This superfast production process meant that quality assurance could be done on the real modules, without the need for design documents and scripts. There was no need for multiple iterations by SMEs, as the original document contained all the necessary knowledge. The look and feel, logo, images, palette numbers for screen features were quickly agreed. Everything from brief to final delivery was done through Skype. Not a single face-to-face meeting was necessary. Finally, the modules were SCORM wrapped for delivery on the LMS – Totara. As SCORM is rather limited, we also embedded extra data gathering capability which WildFire harvests for further analysis. This allows detailed analysis of who did what when and within the training, the specific times taken by each individual. Beyond this. WildFire have been looking at data and correlating it with other data on sales. One important lesson in being agile is the ‘Garbage IN: Garbage OUT’ rule. When you use an agile production process, you need agile preparation. An intensive look at the input material pays dividends. Eliminate all of that extraneous material and text, cut until it bleeds and cut again, catch those pesky spelling and punctuation errors, make sure things are consistent. In our Jurys Inn and TUI work the source material was edited down to the essential ‘need to know’ content. Another essential ingredient is an agile project manager. In both the Jury’s Inn and TUI projects, we spoke frequently, but didn’t have a single face-to-face meeting. It was all quick decisions, problems solvedon the spot and process change to get things done. The project managers never saw problems, only issues to be solved – quickly. It was made easier by the fact that AI was used to produce content in minutes not months. That means the quality control was on real content, not paper documents. And as we use approved documents, PowerPoints and videos, there was no real need for intensive SME input, which is the main brake on agile production. This is where the real gains lie. AI is now being used to create content and add curated resourced at the click of a button. WildFire will take any document, PowerPoint or video and turn it into high retention online learning, in minutes not months. Want an audio podcast or audio introduction to the course? It takes seconds using AI to do text to speech. The time savings are enormous, as well as costs. AI is used not only to identify learning points, it also constructs the questions, assesses open input (words or full short answer) and locates external resources for further learning. I’ve lost count of the number of times we’ve bust a gasket getting something finished, only to see it languish on a server before release. Agile marketing should also be part of our mindset. This means blogs like this and good internal (and external if required`) marketing. Managers and learners are intrigued by the use of AI in learning – use that to best advantage. Agile is as much a state of mind as process. Yet Learning and Development still works to an old model of months not minutes. We procure slowly, prepare slowly, produce slowly and deliver slowly. Despite relentless calls to align with the business and respond to business needs, we are too slow. L and D needs things in days, yet we deliver in months. This is what needs to change. Online learning has traditionally been a rather slow in design and production. We can now use AI in WildFire to create content quickly, to produce agile learning and data that allows us to adapt to new circumstances. 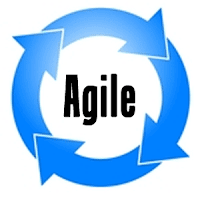 I may have used the word ‘Agile’ too often here but it captures, in a word, what is now necessary. The days of seeing online learning production as some sort of feature film project with matching budgets and timescales – months, should be re-examined. Sure some high-end content may need this approach but much can be automated and done at 10% of the cost, in minutes not months.